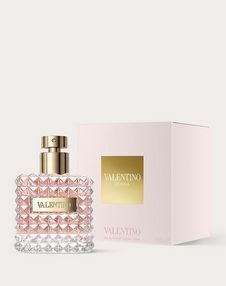 Valentino Donna is luminous and sensual: its floral oriental fragrance revolves around a contrast of noble ingredients. Rose essence, generously blended with notes of bergamot and iris Pallida, illuminates the fragrance with refined radiance. 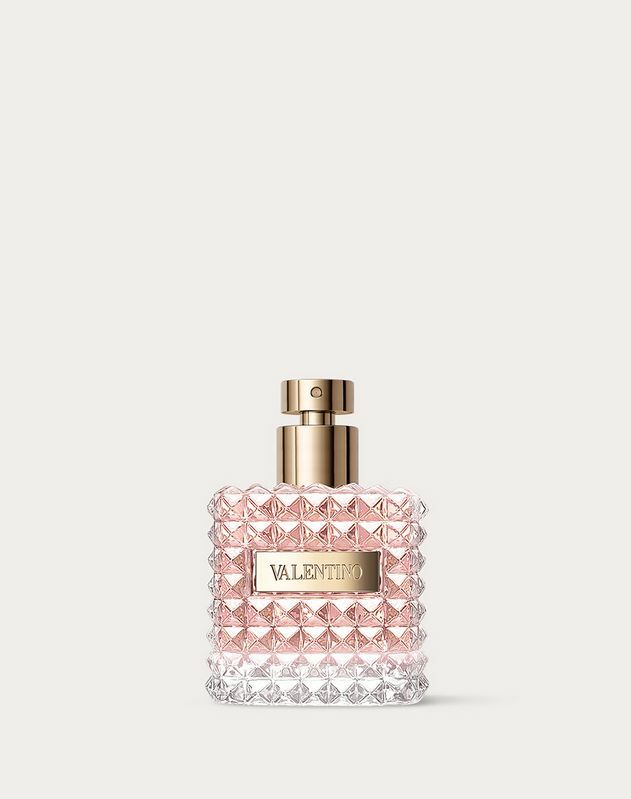 Warm, intense notes of leather, blended with patchouli and vanilla, express an exquisite sensuality. The glass surface of the bottle is entirely cut in prisms that resemble studs, but could also be the ashlar masonry of an Italian palazzo.